Localized paralysis: Paralysis in one particular part of the body. Global paralysis: Paralysis causing weakness throughout the entire body. Hemiplegia: Paralysis causing weakness on one side of the body. This commonly occurs after strokes. The financial impact of paralysis can be devastating. A paralysis victim may require a lifetime of care, including physical therapy, assistive devices, and other medical treatments. Apart from the financial cost of an injury resulting in paralysis, victims must endure the emotional impact of becoming immobile. Our firm understands the harm that paralysis can bring and is sympathetic in our approach to helping accident victims. At Benson and Bingham, we will help you explore all your legal options for seeking the greatest compensation after your accident. Experience and dedication are important factors in getting the settlement you need and deserve. The law firm of Benson and Bingham has the legal experience needed to help you win your paralysis Injury case. At Benson and Bingham, our attorneys and legal assistants pride themselves in client care and service. We understand the pain associated with these types of injuries, and want to help you through your recovery process. Contact us today for a free consultation. 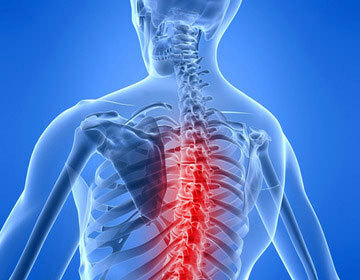 Paralysis, Paraplegia, and Quadriplegia is Usually Associated with Injury to the Spinal Cord.